Rainforest Sites of Significance | Fauna and Flora Research Collective Inc. 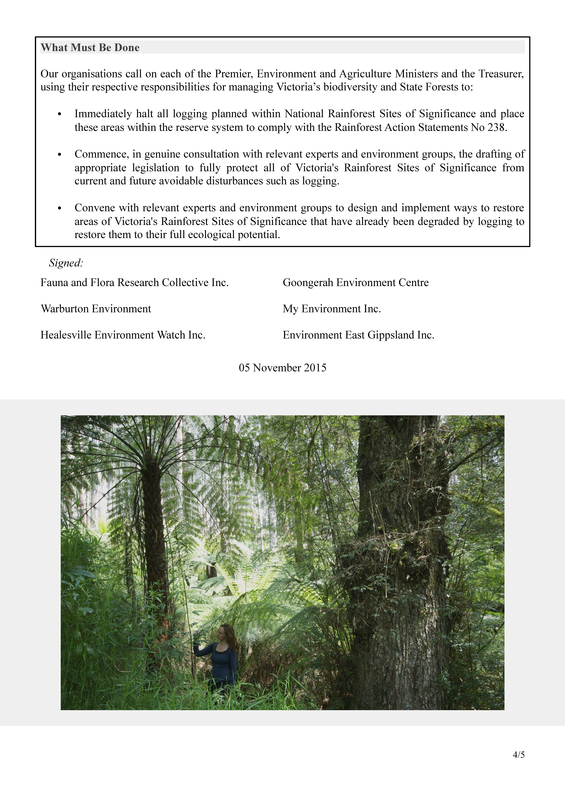 Please find [above] a letter setting out our concerns regarding the ongoing logging of Victoria’s Rainforest Sites of Significance (RSOS). 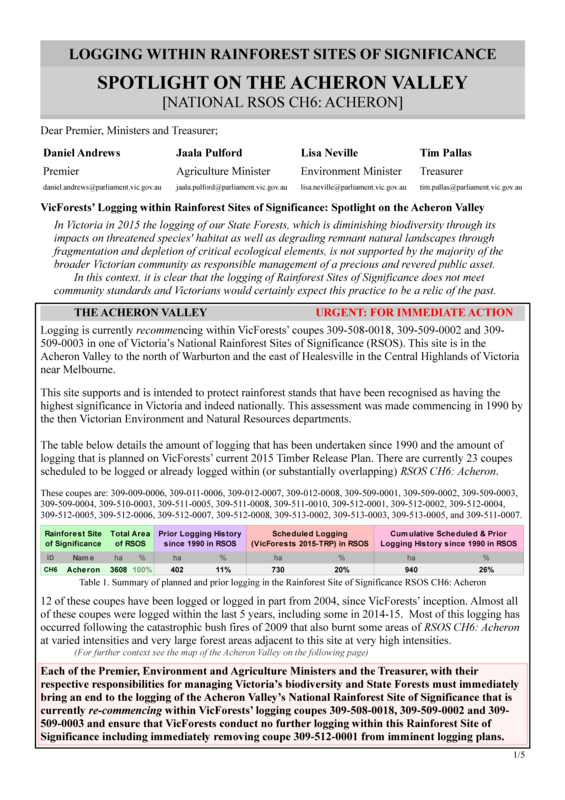 Urgently, this letter alerts you to the recent re-commencement of logging within the Acheron Valley’s National Rainforest Site of Significance (RSOS CH6: Acheron) within VicForests scheduled logging coupes 309-508-0018, 309-509-0002 and 309-509-0003. VicForests currently claim that they are “in process” logging within the following coupes that are within or overlap RSOS CH6: Acheron:309-512-0005, 309-512-0006, 309-511-0008, 309-512-0007 and 309-509-0001. 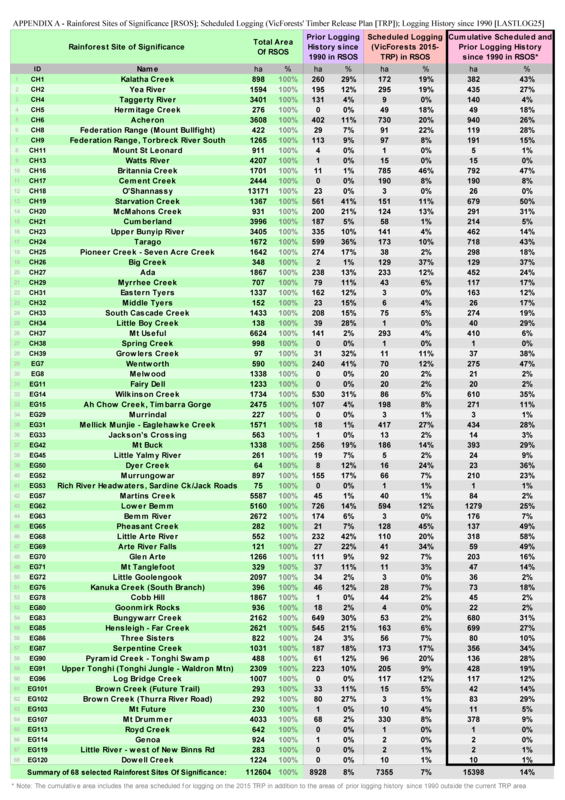 Additionally, VicForests currently claim that logging is “pending” within the following coupes that are within or overlap RSOS CH6: Acheron:309-509-0002, 309-509-0003, 309-512-0001 and 309-512-0002. 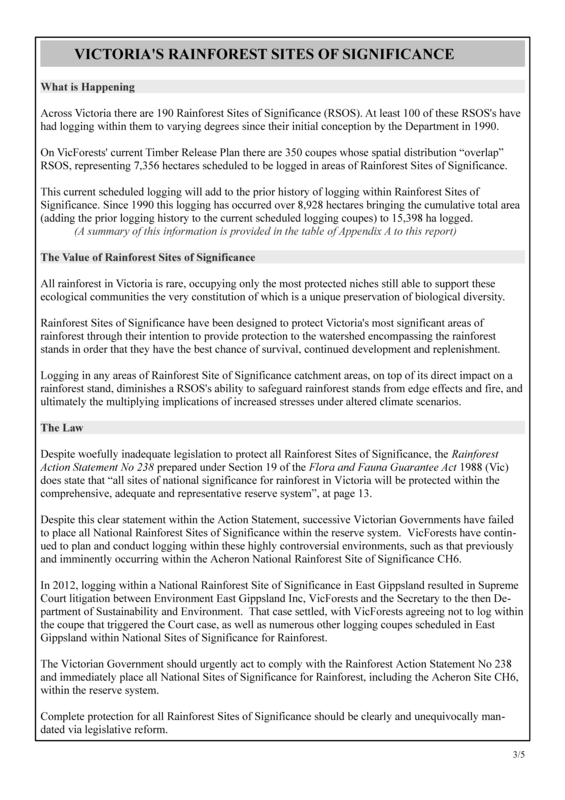 Despite woefully inadequate legislation to protect all Rainforest Sites of Significance, the Rainforest Action Statement No 238 prepared under Section 19 of the Flora and Fauna Guarantee Act 1988 (Vic) does state that “all sites of national significance for rainforest in Victoria will be protected within the comprehensive, adequate and representative reserve system”, at page 13. 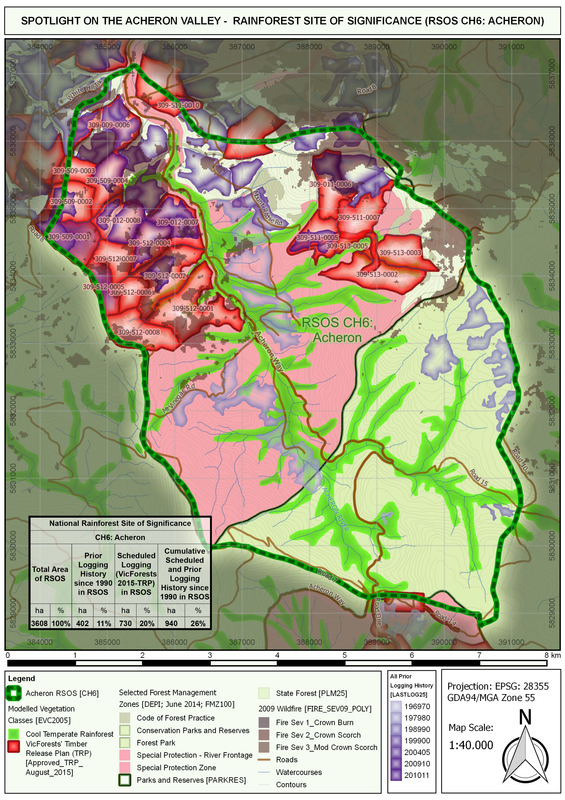 As such, the Victorian Labor Government should urgently act to comply with the Rainforest Action Statement No 238 and immediately place all National Sites of Significance for Rainforest, including the Acheron Site CH6, within the reserve system. Acknowledging the urgency of this situation, each of the Premier, Environment and Agriculture Ministers and the Treasurer, with their respective responsibilities for managing Victoria’s biodiversity and State Forests must immediately bring an end to the logging of the Acheron Valley’s National Rainforest Site of Significance that is currently re-commencing within VicForests’ logging coupes 309-508-0018, 309-509-0002 and 309-509-0003 and ensure that VicForests conduct no further logging within this Rainforest Site of Significance including immediately removing coupe 309-512-0001 from imminent logging plans. Thank you, we look forward to your considered response and to your prompt assurance that logging will cease immediately within The Acheron Valley’s National Rainforest Site of Significance. Fauna and Fauna Research Collective Inc.